Unique formulation contains patented NAA technology, Borage Seed Oil, Dead Sea Minerals and natural Yarrow Extract. The addition of Yarrow Extract is on account of its rich antioxidants and fatty acids, which keep hair glossy and conditioned while benefiting scalp health. 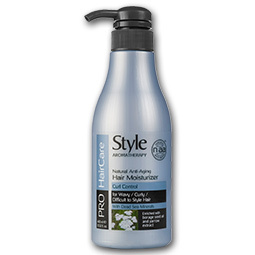 Directions: Apply generous amount onto your palm and apply the cream to damp or dry hair. Start styling by hand or brush. Do not rinse. Suitable for daily use.